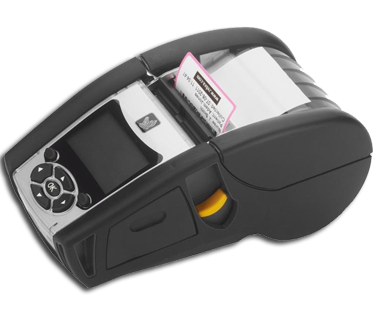 Zebra’s popular QL™ family of direct thermal mobile label and receipt printers has built a highly satisfied following based upon its proven drop-resistant durability; user-friendly, productivity-boosting features; and easy integration. The printers’ over-molding and tempered-glass display — coupled with their seamless, one-piece design — make them more durable than ever before. These printers can boost your operation’s productivity through their larger, sharper, easier-to-navigate display; faster, higher-quality printing; a variety of proactive alerts that help keep working printers in employees’ hands; and many convenient charging accessories. And, your IT department will find the QLn printers more intuitive to integrate into existing platforms thanks to Zebra’s Link-OS® environment. Other features such as Zebra® Global Printing and improved network performance — including 802.11n wireless LAN capability for more robust and reliable connectivity and throughput — also make integration easier.